Culture Smart! 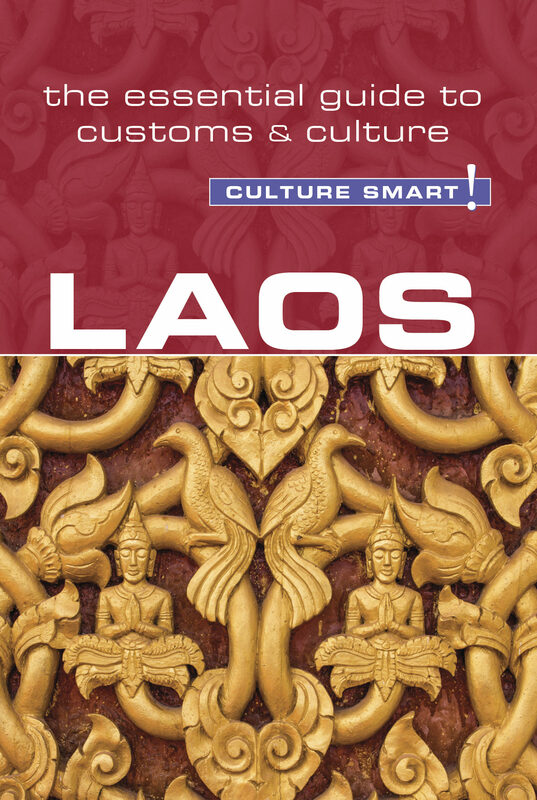 Laos offers in-depth information to visitors seeking a genuine experience, including essential insights and advice on local customs and lifestyle. ambitious industrial development strategies and today is a member of ASEAN and the WTO. Visitors quickly relax and enjoy the vibrancy and colour of bustling marketplaces with their aromatic spices, tropical fruits, and huge wicker baskets containing many varieties of rice. You may glimpse a group of monks of all ages wandering past in flowing orange robes, and later hear their chanting emanating from within the temple walls. Passing a line of children in school uniform, chattering and laughing noisily, you will always be greeted with a gracious bow and “sabaidee.” Whatever the purpose of your visit, in Laos you will always be met with warmth, courtesy, and hospitality, and feel completely safe. One of the first Lao expressions that visitors become familiar with is "boh pen nyang." Its multiple meanings can prove intriguing to foreigners, as it encompasses a range of possibilities, such as the affirmative "No problem" or "It doesn't matter; its OK." Occasionally it conveys a confusing lack of commitment, as in "We can't do anything about it," but for the most part it is an upbeat expression used to end a phrase or situation, and a perfect reflection of the easy going and fatalistic nature of the Lao people.